ADP Construction Ltd are a civil engineering and general building company who pride themselves on the quality of their workmanship. We work as either a main contractor or sub-contractors in all aspects of civil engineering and general building, i.e. 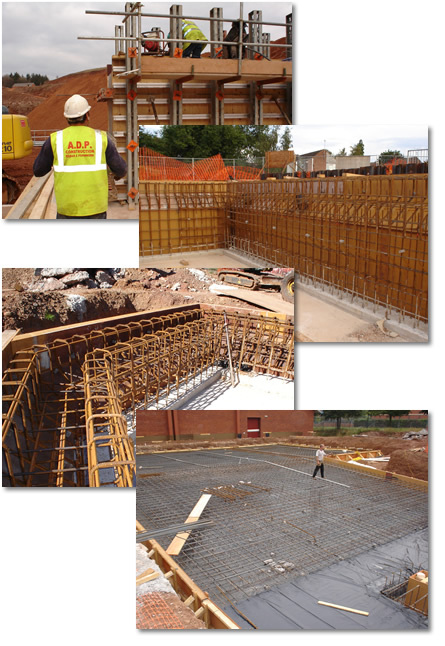 from reinforced structures which is our specialty to house extensions or conversions. We take care to ensure the customer has a hassle-free experience from start to finish with any project we undertake. Hopefully this introduction is enough to make you look deeper into our company stature and hopefully consider ADP Construction for any future projects you may have. We have 5 million employers liability insurance and 10 million public liability insurance.